Fighting fraud is one of the practice areas of Robert A. Dodell, Attorney at Law. Insurance fraud victims should be able to find affordable legal representation to help defend their case. Attorney Robert Dodell is here and available to offer you legal assistance to defend your rights. People seeking financial gain use insurance fraud to either receive maximum benefits or acquire services. Educate yourself about insurance fraud to protect yourself from being someone’s next target. What is life insurance fraud? Life insurance is one of the motives for murder in the US. Recipients of insurance money would kill or hire another person to murder the policyholder for the hundreds of thousands of dollars in insurance payout. Other instances of insurance fraud go as far as faking disabilities or death to obtain insurance money. Insurance fraud is generally described as hiding information during the application procedure and making false insurance claims afterward. People would also tend to cover up their ailments to be able to acquire a life insurance policy. With so much money at stake, insurance companies typically examine claims and suspicious deaths.They seek help from private investigators to probe insurance claims. However, some people are capable of using tactics to collect life insurance money and deceive family, friends, and insurers. Insurance policies pay out when the insured dies or is murdered. However, the person, usually a family member, who killed or hired a killer, is not allowed to benefit from the crime. Legal consequences will also be enforced for this kind of insurance fraud. Individuals who are found guilty of murder for insurance payout will have to face criminal charges, as well as fraud accusations. Fraudsters who fake their deaths have to stay out of sight to convince people they are indeed dead. However, not all people are capable of completely cutting ties with family members or friends. Hence, they get caught and brought to the appropriate court. Faking one’s death or disability may not be a crime in itself, but the people who collect payouts under pretense are guilty of fraud. Lying about medical records or death to obtain benefits will incur penalties, depending on what state the scheme was committed. Forgery refers to unauthorized alterations in the insurance plan. For instance, a family member, friend, or even a stranger gets access to a person’s insurance policy and information, and changes the recipients of the insurance payout. Policy up selling isn’t necessarily a scam, but it’s a common dirty practice among dishonest commission agents. The insurance agents may make false promises such as increased payout if the insurance holder gets embroiled in an accident and dies. Insurance agents also do fraudulent activities that involve misappropriating client premiums instead of buying life insurance. Fraudsters typically sell policies to senior citizens that are unfitting for their needs. When found guilty, the fraudster can face over ten years imprisonment. Other states impose varying penalties, depending on the amount of money involved in the scheme. Health insurance fraud is another type of insurance fraud perpetrated by few deceitful individuals or institutions. Unfortunately, both providers and patients can commit this kind of sham. The medical providers who commit health insurance fraud often misrepresent and alter claims. They also charge more for services, items, and patient appointments that never occurred or furnished. The primary motivation for healthcare fraud by providers is to get more compensation from Medicare. Patients who try to scam healthcare also usually fabricate or conceal health information to receive benefits. Individuals often modify forms; deliberately not reporting information, or covering pre-existing conditions. An individual subscriber commits health insurance fraud by exploiting someone else’s identity to acquire funds, goods, or services. It also refers to someone who lets other people use his or her information to collect health care assistance. In this type of health insurance fraud, individuals also purchase drugs that were not approved by the physician. The most common offense committed by health care providers is making patients pay for medical supplies, devices, and procedures that were never rendered. For instance, a health care provider will charge high-priced service to gain more compensation and revenue. Some healthcare providers also influence patients to undergo medical treatments that are unnecessary. They even go as far as fabricating results to encourage patients to subscribe to expensive treatments. Perhaps the most menacing case of healthcare fraud is when institutions submit bills for lab tests in a fragmented fashion. As a result, the laboratory will increase their revenue by charging tests separately instead of as a whole. Why do you need to talk to an attorney if you’re accused of insurance fraud? Insurance fraud robs other people of the benefits due to them. It’s a severe problem in the healthcare industry, and anyone proven to have committed the offense can face criminal charges. Violators might pay fines and spend significant time in prison. Any medical provider or individual who is found guilty of life and health insurance policies will have to live with a felony record and stigma for the rest of their lives. This is why you need to talk to an attorney if you’ve been accused of insurance fraud. 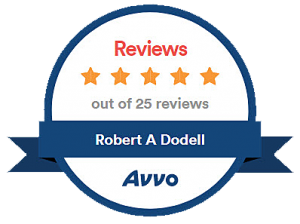 As an insurance fraud attorney, Robert A. Dodell, Attorney at Law, will be able to resolve whether you have a legitimate claim and will fight for your best interests. Compensation must be accorded to you if you’ve been unjustly deprived of insurance or accused to have acted in bad faith. Contact Robert A. Dodell, Attorney At Law for any fraud defense, or send an inquiry thru email to discuss your case if you’ve fallen victim or have become a pawn in life and health insurance fraud.